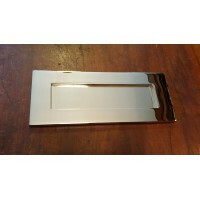 'Bank' Style Letterplate - Nickel - Medium 12" x 4 1/4"
A classic 'Bank' style letterplate in polished Nickel. 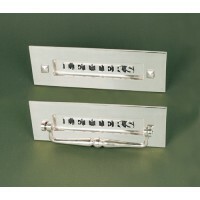 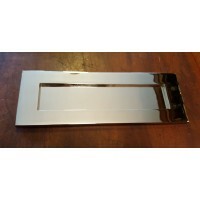 Measures; Overall dimensions ..
'Bank' Style Letterplate - Nickel - SMALL 10" x 4"
A beautiful classic designed letterplate made of solid brass with a nickel plate. 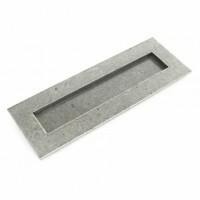 ( pictured - t..
A heavyweight period letterbox with raised hand aged ‘LETTERS’ wording on the spring loa..
Pewter - Letterplate - Large - Anvil 33680 Letterplate - Large - Pewter Finish A classic..
A beautiful traditionally designed letterplate made of solid brass with a nickel plate. 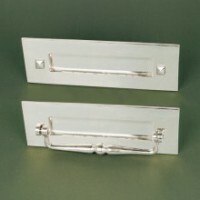 ( pictur..
We guarantee that the Period Features selection of Nickel & Pewter Letterplates is the best you will find on the internet or anywhere else and are only made from high quality materials to exacting standards.